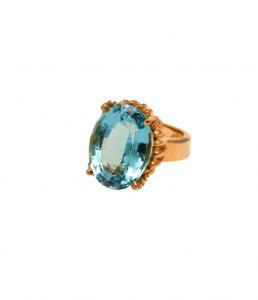 This 18-carat faceted oval Blue Topaz cocktail ring is simply stunning. Set in our custom 18K vermeil Acanthus leaf setting. Cost to size is included in price. **This item is currently out of stock but is available through special order, call 1.877.772.8891.